After the long trip up the Great Central Road from Perth, we crossed into the National Park as the last rays of the day gently illuminated the breathtaking formations that are Kata Tjuta. It absolutely felt like we had arrived someplace special. 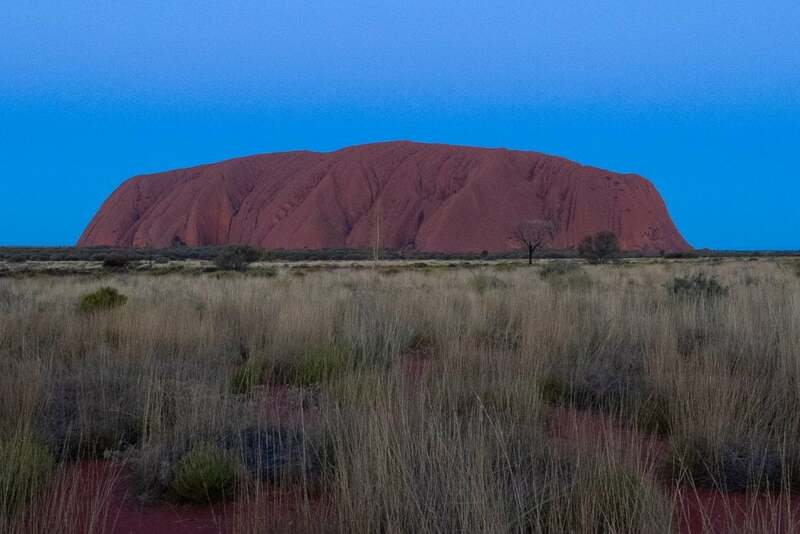 To catch our first Uluru sunrise meant an early start, and it was frigidly cold. 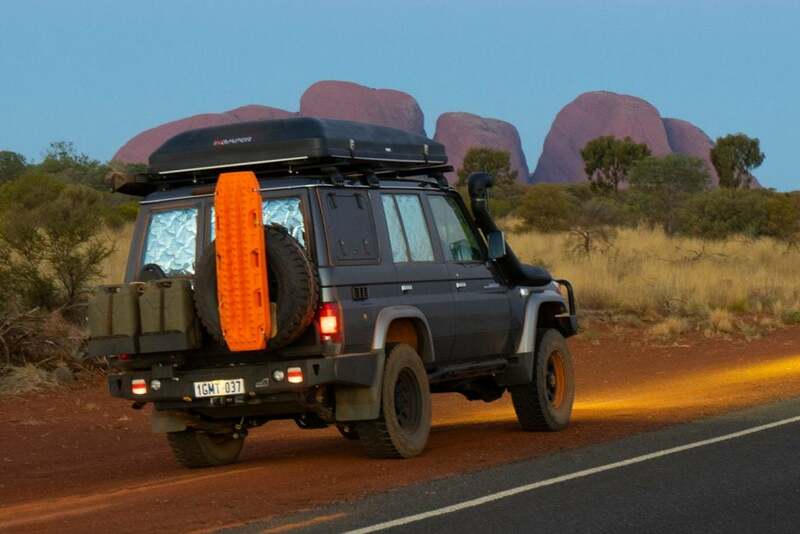 We’d luckily been given the heads up to pack warm, so we layered up and from the campground rolled back down into the Uluru-Kata Tjuta National Park. We joined the crowds on one of the limited viewing stations that had the elevation and angle to capture the morning light. 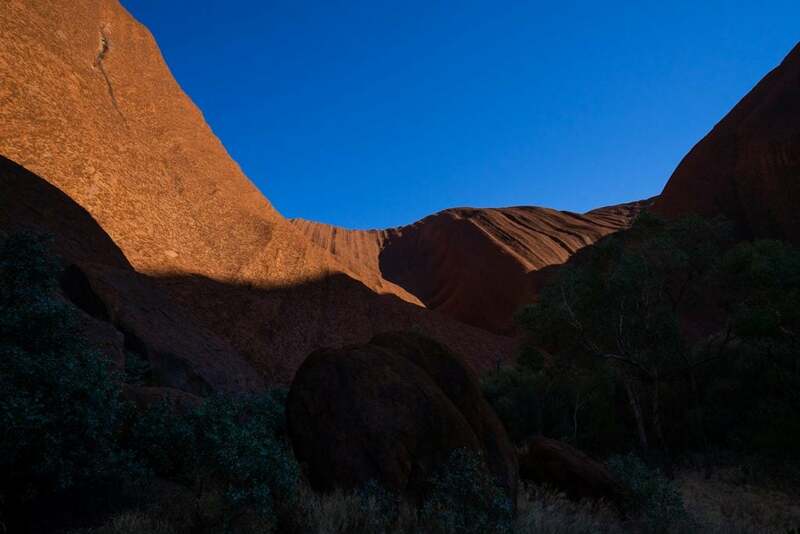 As the sun began to light up Uluru, we started to get a sense of the scale of it for the first time. Tall, large and surrounded by nothing, you can feel the powerful presence of this natural formation even from the distance. Up close with towering stone walls, tall trees, dark shadows, and blue skies, this ancient rock of 3.6kms long and 1.9kms wide is truly impressive. The deep grooves carved in the rock are a reminder of the volume of water that is captured by the top of the rock in wet weather. 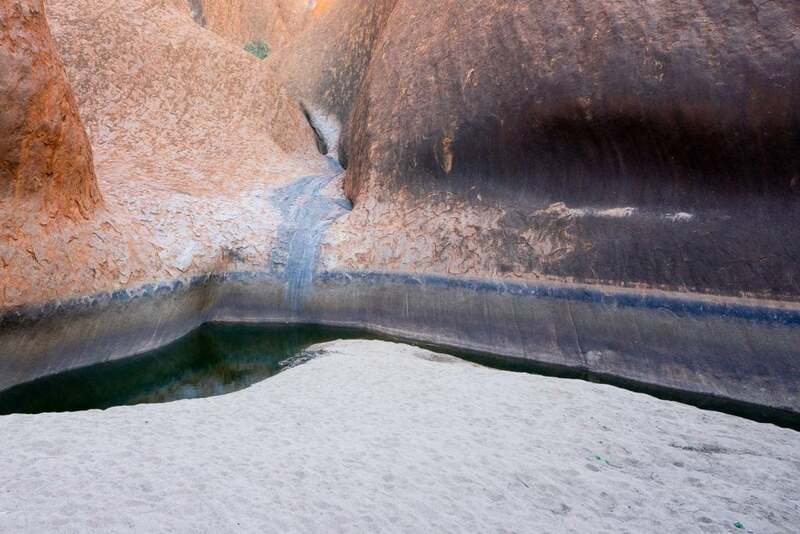 To witness Uluru alive with waterfalls first-hand would indeed be incredible. 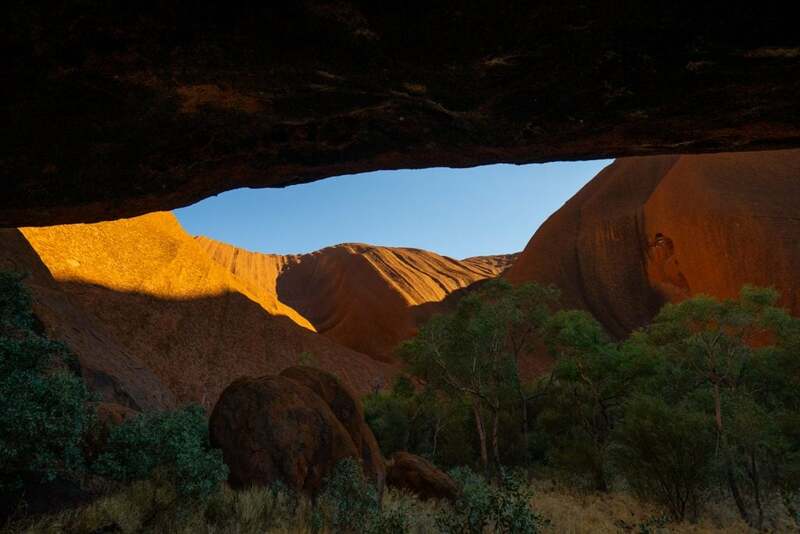 From every angle, Uluru is different. As the light changes throughout the day, so does the rock, or so it seems, with sections almost unrecognisable when bathed in different light. 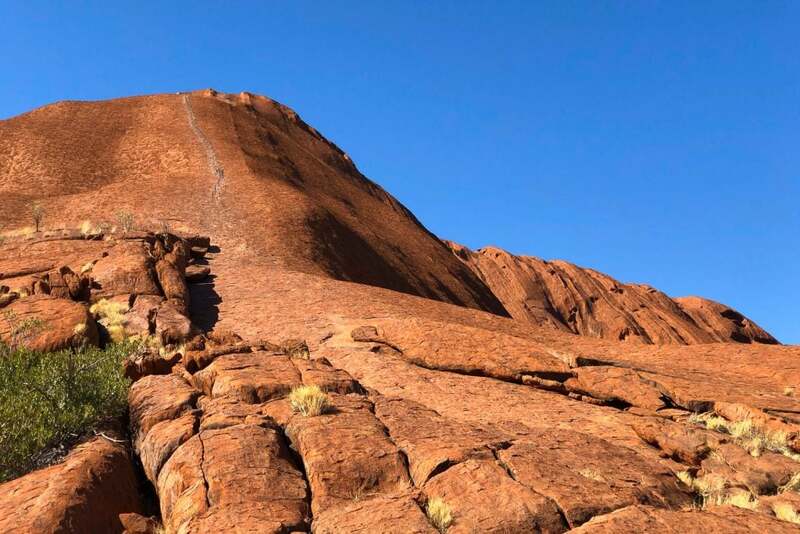 From 26th October 2019, in line with the wishes of the Traditional Owners of the land, it will no longer be possible to climb Uluru. Although the climb was open during our visit, we chose not to. 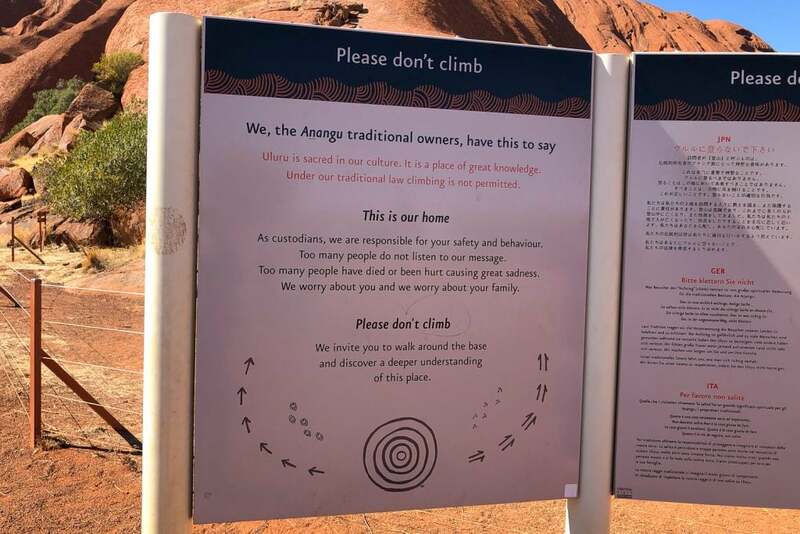 Standing at the base of Uluru, we had found it impossible to not recognise just how significant this place is for the Traditional Owners. While the decision will be formalised in October 2019, perhaps there are some other reasons to be supportive. There have been 37 deaths on the climb since the beginning of records in the 1950s. 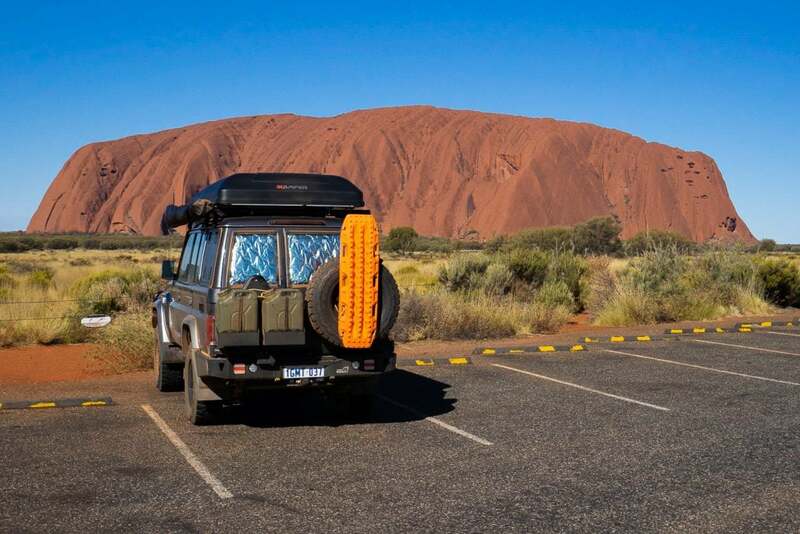 Equally concerning is the environmental damage from high volumes of tourists using the top of Uluru as a toilet. Reportedly the waste is widespread and many waterholes are polluted. 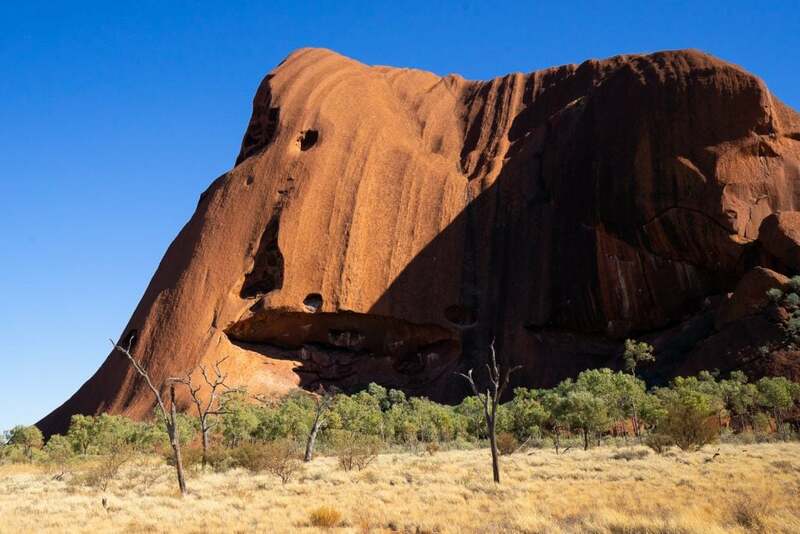 Uluru will join the list of numerous forbidden climbs worldwide including Mount Kailish (Tibet), Mount Macchuppre (Nepal), Spider Rock (United States) and Mount Omine (Japan). Sunset was our favourite time to view Uluru. There are plenty of great vantage points. With the setting sun, the red rock illuminated in its glory, and the light lingered right into the early evening. 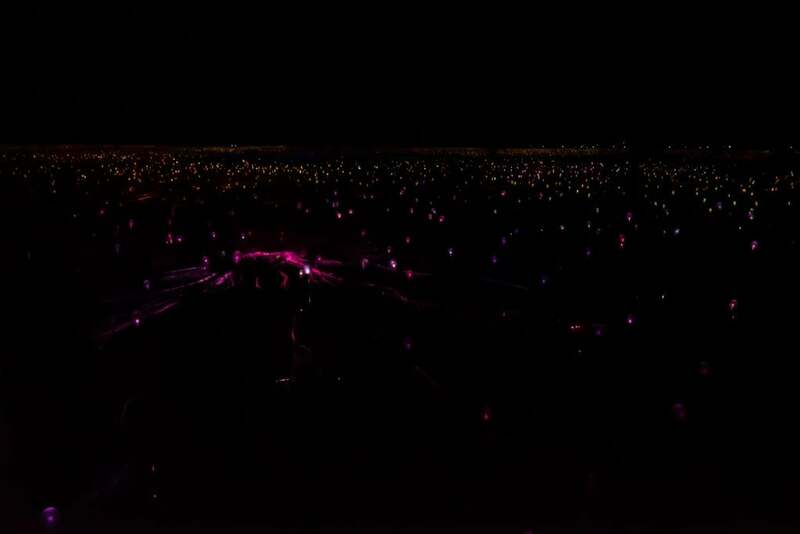 Under the cover of darkness, Uluru is a place of more light. 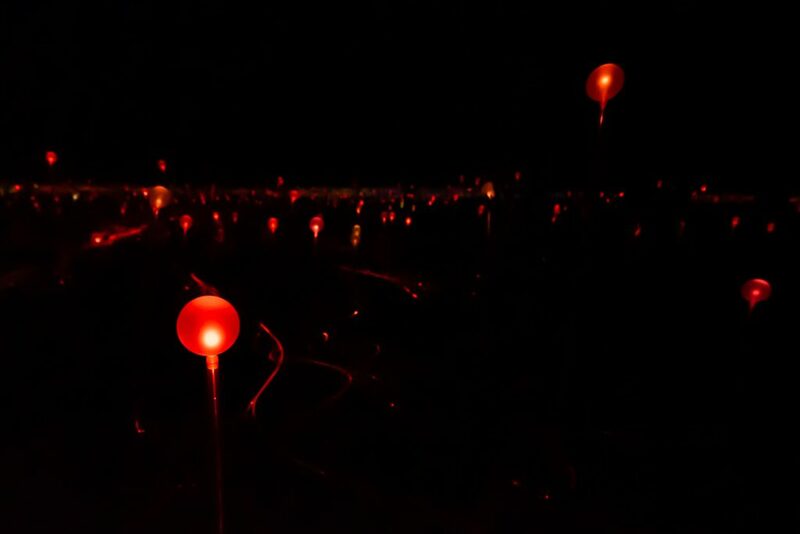 The Field of Light Uluru is an art installation by Bruce Munro. 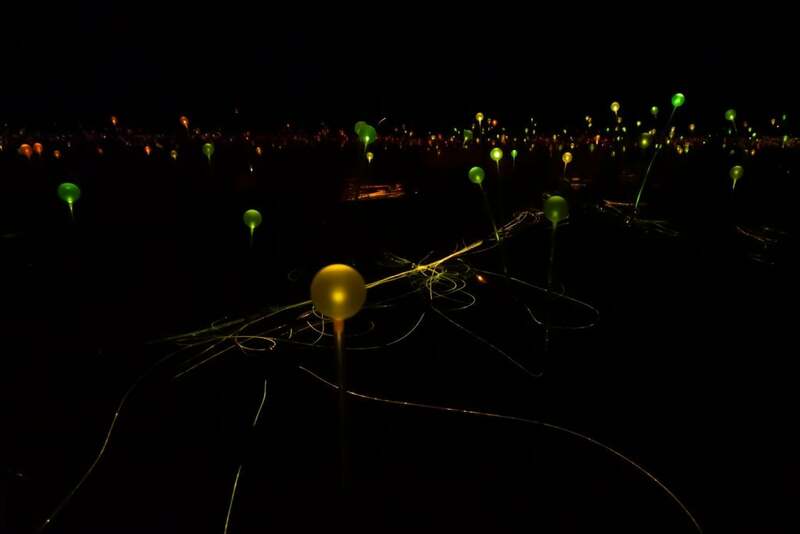 This magnificent display consists of 50,000 hand blown solar-powered glass spheres which are illuminated by an ever changing rhythm of light. Almost like the finale of a fireworks show, half a dozen shooting stars lit up the sky just as we were leaving the field. To say we were blown away by this whole experience is simply an understatement. 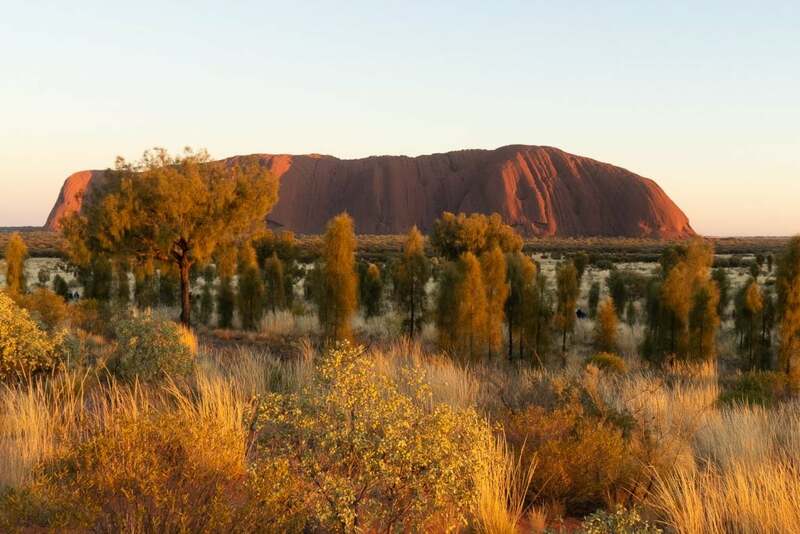 Uluru is perhaps Australia’s worst kept secret. Yes, you will have to share this place with many many visitors. 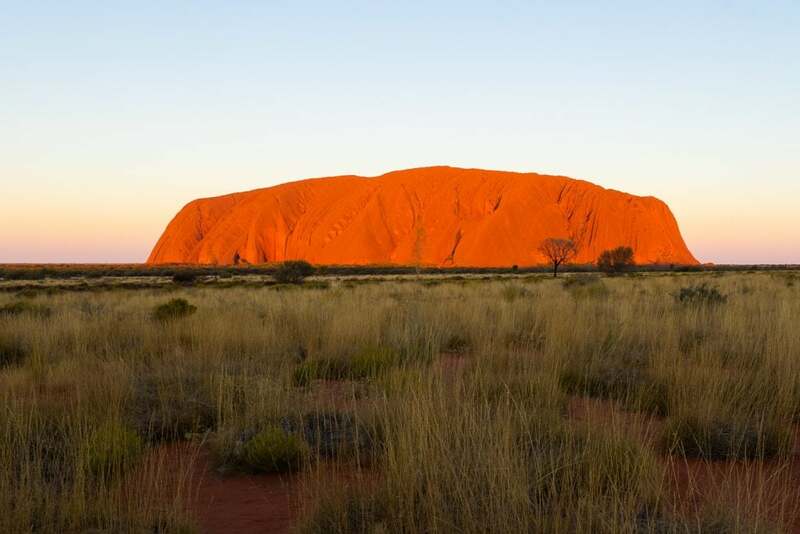 But this stunning landmark, together with it’s neighbouring National Parks and deserts, means a trip to Central Australia is a journey everyone should make.